Millhouses Travel Worldchoice are celebrating over 35 years of excellence in Travel! Established in 1983 we are a family run business with a proud reputation of customer service, backed up by probably the most experienced travel team in our area. 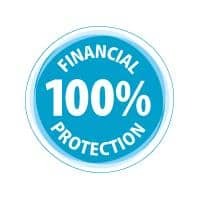 We are also members of TTA (Travel Trust Association) so you will have the peace of mind of knowing that all travel arrangements you book with us are 100% financially protected.